OPERATION CHILDLIFE - RCSI IN VIETNAM - rcsi-star's JimdoPage! The next MRCS Part A will be held at RCSI-UCD Malaysia Campus on April 17 2018. 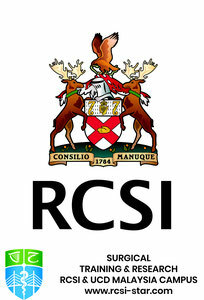 18 August 2018 at RCSI-UCD Malaysia Campus. The calendar for the Intercollegiate Basic Surgical Skills Courses for 2018 has been released. The first Intercollegiate Basic Surgical Skills Course for 2016 was held at Penang Medical College from March 2-4. The second course at Penang Medical College was from June 17-19, the third from September 7-9. All courses were fully subscribed. An additional course was run out of Penang Medical College in December 2016. There were four courses in 2017. At RUMC (PMC) November 17 & 18 2018.